These TVs are the latest addition to the electronics industry and while they offer a sleek, futuristic appearance, many consumers are left wondering what is so special about the new crescent-shaped screens. For the most part, consumers who already own a curved TV agree that it is easy to get lost in what you are watching thanks to the wider field of view. A common reaction that many people have after watching a TV for the first time is that the image on the screen is almost three-dimensional. That is because curving the sides of the screen brings the image toward the viewer, which helps to enhance their sense of depth. This is an effect that you simply cannot get from any type of flat screen TV no matter how vivid the resolution may be. 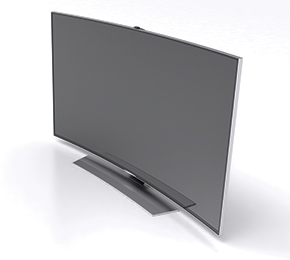 However, even with the many positive reviews out there, the verdict is still out on whether or not Samsung curved TVs are here to stay or a fad that may not last. That is why this review has been put together to help you weigh the advantages and disadvantages of these new innovative televisions to find out for yourself whether it’s the right choice for you. 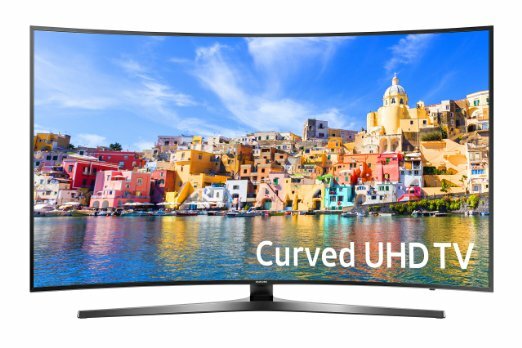 While it is still considered a very new concept in the electronics industry, it hasn’t taken long for many major brands to come up with their own curved models. Each one with their own list of exclusive features. 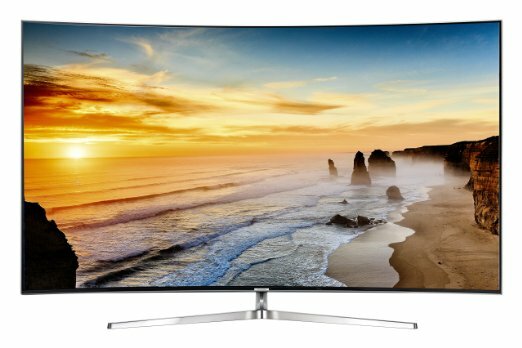 Here is a list of some of the best Samsung curved TVs currently available on the market for you to consider. Curved TVs can provide you with a one-of-a-kind viewing experience that is similar to going to a major movie theater. But in order to get the best view of any type of programming, you will need to be seated so that you directly across from the center of the screen. This is considered to be the ‘sweet spot’ and will allow the viewer to receive the maximum amount of benefits. If you read a number of reviews on this kind of Samsung TVs you will find that this is often described as a disadvantage, however many owners claim that viewing from another angle doesn’t alter the experience as much as one would think. These TVs are available in a range of screen sizes from 40″ to 78″. While the smaller screen size is obviously the more affordable option, the experts agree that with curved screen, bigger is always better. With a smaller screen in the 40″ to 55″ range, it can be harder for the viewer to find the sweet spot, and there are more discrepancies in the image quality if you are not sitting directly across from the center of the screen. The ideal screen size is 65 inch, based on recent reviews from owners and electronics experts. 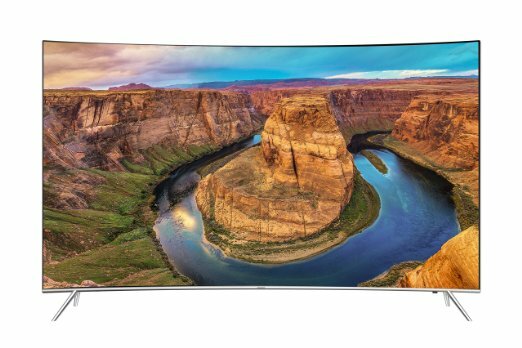 A screen of this magnitude will provide the viewer with the full benefits of curved screen technology with fewer issues. Owning a Samsung curved TV has its advantages and disadvantages. To understand if this type of television is the right choice for your viewing habits, you will need to weigh the pros and cons, taking every aspect into consideration before you make a purchase. Here are a few things to keep in mind as you browse the current TV models available for sale. While it may seem like curving a TV screen will take the image farther away from you instead of bringing it closer, curved screens actually do the opposite and help to adjust the direction of light to create the ideal contrast and color image onscreen for the human eye to perceive. If you want to upgrade the overall look and design of your living room, family room or den, a curved television is the way to go. This may not be the primary reason to buy one of these innovative TV models, but the sleek style of the curved screen is a definite plus for anyone who wants to create a stunning focal point in their TV room. The unique screen is capable of tracking the natural round shape of our eyes much better than a flat screen TV. This provides the viewer with a more comfortable image that has better focus and sharpness. No matter how good the ratings may be on any brand of curved TV, you are going to have a problem with screen reflection. This is the main disadvantage with these screens that has yet to solved. Anything that emits light in your room will be reflected on the screen which can cause image distortion that you would not get from a flat screen TV. Whether it is the fact that it is a new trend or that Samsung TV models come with many other added benefits, these TVs are simply more expensive than flat screen models. For that reason it is best to find out as much as you can about the technology to ensure that your purchase will be a worthwhile investment. The two main issues that Curved TV’s owners have with the new screen style have to do with reflection and distortion. While all TVs reflect light, the unique shape of a TV causes it to greatly distort and stretch a reflection making it extremely difficult to ignore. The only way to resolve this issue, or at least minimize the problem, is to carefully choose where you want to display your curved TV in relation to all light sources in the room. This includes sunlight from outdoor windows. Image distortion is another common issue that cause many consumers to regret their purchase. This problem can cause the screen to have a bow-tie shape at times where the edges of the screen appear to be much larger than the middle. It is most noticeable with content that has horizontal lines or letterbox bars. While it is a nuisance, image distortion is not always obvious from every viewing angle. 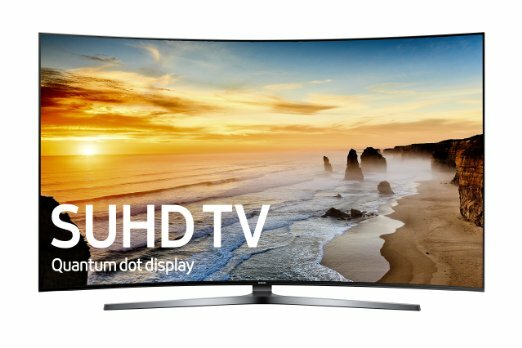 If you are ready to purchase Samsung curved TV and enhance your TV viewing, be prepared to pay big bucks for your new set. These TVs are priced much higher than flat screen TVs, even those that have the same screen resolution and Smart TV features. They are also available in much larger screen sizes which helps to contribute to the high price tag. 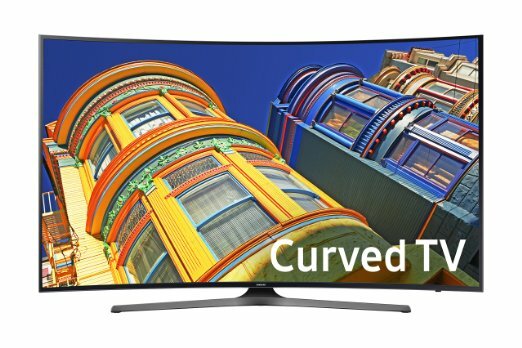 Even though they are more expensive than other high-quality TV models, curved TVs are still a good option for those wanting to upgrade from their standard HDTV. They provide the viewer with a unique experience that cannot be compared with a basic flat screen. For best results you should buy TV with a screen size of 65″ or higher. This will help to eliminate problems with distortion and reflection while providing the optimal amount of visual benefits for the viewer. Why You Should you Buy It? For the average TV viewer who isn’t concerned with the quality of their screen image, a Curved TV may not be the best choice. However, if you are the type of TV viewer who loves to become completely immersed in the content you are watching, this type of TV is an obvious choice. Along with the enhanced viewing experience that you will receive every time you sit down to watch your favorite programming, most TVs also include all the latest high-tech features such as 4K resolution, Smart TV capabilities, and voice command controls. Add all that to the futuristic design and you have a television that will be capable of providing you with the very best home entertainment options in a single, stylish package.